In October 2017, the North Bay fires lasted for 23 days; the damages are estimated at $3.3 billion, while more than 210,000 acres and nearly 9,000 structures were consumed by flames. Wine country was wounded, five counties were affected, homes were lost, and the landscape was severely damaged. And unfortunately, the image of wine country was tainted by those events. It will take years to recover, but it doesn’t mean that you can’t do something right now! Environmental crises bring the community together, as the beauty of humanity and generosity toward one another is brought to light. In 2005, when Hurricane Katrina struck New-Orleans, the whole country had their eyes on the situation in Louisiana, and the response of the community was incredible. According to a report from the CNCS (Corporation for National and Community Service), a year after Katrina, more than 575,000 Americans had volunteered in the Gulf Coast. It was a display of benevolence and openhandedness, and ultimately an outpouring of compassion by a nation united in helping one another. On October 8th, 2017, as the intensity of the fires reached its peak, a small group of volunteers worried by the situation of their families and friends decided to take action. Founded by the team behind Senses Wines, Rebuild Wine Country (RWC) is a group of volunteers created to raise funds to help rebuild homes in Sonoma, Napa, Solano, Lake, and Mendocino counties. They raised $5,000 in the three days following, and that number quickly became $40,000 over the course of the weekend. As they were joined by other volunteers, supportive industries, partnerships, and donations, RWC raised their goal from $500,000 to $5 million. In cooperation with Habitat For Humanity, which was involved in the rebuilding of Houston after Hurricane Harvey and New Orleans after Hurricane Katrina, RWC is focusing on helping homeowners affected by the fires. To-date, their fund on YouCaring has raised over $500,000, with 100% of donations helping families repair and rebuild homes after the wildfires in Northern California. All help is valuable, from social media engagement to donations. Everyone can be a part of the rebuilding! 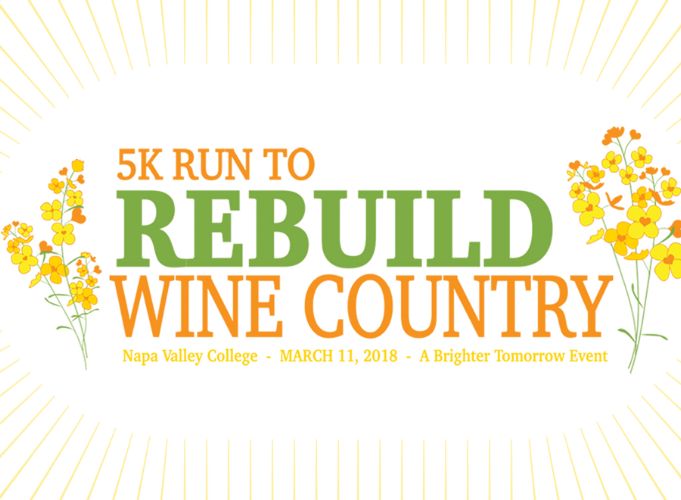 On Sunday, March 11, RWC is hosting a family-friendly 5k run/walk followed by a food & wine festival. The event will take place at Napa Valley College. If you can’t make it, get involved by registering as a virtual runner! Team Astra will be at the starting line, ready to support our community. Every team member at Astra has a personal connection to the North Bay Wildfires. Our office was located in a voluntary evacuation zone, our team members housed many individuals displaced during the fires, and we all know families who lost their homes. This beautiful place is where we all call home, too, and we are committed to its restoration. While nothing will be exactly as it was before the fires, rebuilding will take time, and our community will grow stronger and more generous in the process. Acting right now will allow us to plant the seeds for a greater future. In the Bay area? Join us! *Remember, virtual runners are welcome too! Where Does Social Media Fit in Your Org Chart?